Nick Spencer, of #NickSpencerIsHydra, crawled out from the rock under which he resides to defend making Captain America a lifelong Hydra Nazi. This interview happened with The Daily Beast. You can find it if you like, it's not hard, but I refuse to give them the clicks. I know it's memorial day, so few if anyone will read it. I know it's more of a Veteran's Day post, but right now, Captain America has been killed in the war with Social Justice schmucks. As far as I'm concerned, it's time for someone to fisk him into next century. I figured that I'm the only one volunteering for the job. Probably because everyone else is reduced to incoherent rage (or, they had vacation plans for the weekend. I was free). The interviewer asked if Nick was "OK," because of the vitriol. (Laughs.) No, I love this stuff. I feed off it, it’s totally fine. It’s looking like it’s gonna be a no. 1 trending topic here in a second. I’m the most hated man in America today and Donald Trump is running for president! Trump didn't take an American icon of the last 7 decades and make him a Nazi. You feed off of being hated. Hmm, so does Donald Trump, it seems. And yet you're trying to belittle Trump? Uh huh. Right. You know, dude, I enjoy being hated, but usually by people who would already hate me for just being myself. I don't go out of the way to make all new people hate me. It's the first paragraph of the first answer of the first question, and we've already verified that Spencer here is a glorified internet troll. Wonderful. I was surprised by the sheer magnitude of the response. I can’t remember the last time something that happened in comics upset quite this many people. It's called One More Day, you may have heard of it. When you decide to do something like this, you understand obviously that people aren't gonna throw you a party for it. You understand that this is the kind of story designed to upset people and shock people and worry people. That’s the response you’re supposed to have to something like this, when you’re seeing a bad thing. So, yeah, this is certainly the kind of response I expected, but in terms of the magnitude of it and just how many people are chiming in, that part’s unreal. That surpassed any expectation that I had. There's "shock" and "worry," and then there's just plain, "Do you have head trauma?" I think it just comes down to [the fact that] this character, particularly since the movies, has really exploded in popularity. Obviously he represents a lot to a lot of people. They’re emotionally invested, which is good. Translation: Yes, this character means so much to so many .... so we went out of our way to screw him up so we can have the biggest click bait ever. The worst thing that could have happened today is people shrugging, or even being reasonable. That would’ve said that we didn’t stick the landing on it. So this is what we wanted, we just have even more of it than we imagined. So you enjoy being the most hated man in comics right now? Tell me how you're any different than an internet troll. Because I'm not seeing it. Q: What sorts of discussion with Marvel went into this? I read your editor Tom Brevoort said this twist had been in the works ever since Sam Wilson: Captain America #1. "Hey, you made Sam Wilson into Captain Liberal, so of course you were planning to make the patriotic Rogers a Hydra Nazi. It makes perfect sense." Yeah, we’ve been holding onto this for about 16 months now, so it’s been well over a year that we’ve been keeping this under wraps. And that was a hugely gratifying thing, especially in the last couple of months as we started work on the issue. There’s an artist drawing it [Jesús Saiz] and a letterer [Joe Caramagna], and you start to worry because obviously the book is getting passed through a lot of hands and there’s something tangible out there that can get leaked. So yeah, I mean all the credit in the world goes to Tom and everyone at Marvel, they really went above and beyond to keep a lid on this. They took a lot of special measures that we’ve never had before—and it worked! We managed to keep this until it started leaking out last night, which was inevitable because that’s when the book started arriving at various places. But yeah, it was a big success. I was really surprised. I thought for sure it would be ruined. Oh, it was ruined, all right. And was there any pushback on this stupidity? Rick Remender was the previous writer on the book and when I took over, he had had some plotlines that were outstanding. Would that be the Captain Liberal plots? If you wanted a real author, why didn't you just get Ed Brubaker. You know, the award winning author who was so popular a few years ago? Tom ran through them with me, and one of them was that Hydra had infiltrated all the various teams and organizations in the Marvel universe and we were gonna be weeding out the various Hydra clans. And, to be honest, at the time, I had just gotten the Captain America assignment and that story really felt like an event. I felt like it was maybe a little too big for me at that point, and that wasn’t something they would want me to do. Q: One of the first things most people will probably think is, “But hasn’t he spent the last 75 years fighting Hydra?” How do you reconcile the twist with the character’s history?A: I can’t say a lot on that front, but what I can say is that that is not a huge point of concern in the story. Translation: HOW DARE YOU QUESTION ME, PEASANT! 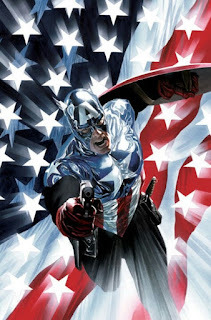 No, really, Captain America punched Hitler in the face, beat up the Red Skull and his minions a hundred times, removed Hydra from SHIELD, and has personally wielded Thor's hammer, Mjolnir, and you've just RetConned (or Wreck-Conned) 75 years of comic book history, and THAT'S NOT A HUGE POINT OF THE STORY? IT'S THE ONLY POINT OF THE STORY. It's the ONLY thing that matters. That question will be answered, at least for the most part, in the next issue. That wasn’t something that we wanted to drag out. We wanted to make that stuff as clear as we could upfront. So now that we’ve gotten the big surprise, we’re going to go back and explain some things to you so that you, as a reader, have a much clearer vantage point. But your vantage point may differ greatly from the characters in the Marvel universe. Oh, how nice of you. You're not dragging it out. The Daily Beast brought up that the creators of Captain America were both Jewish. Look, everybody who’s working on this story loves Captain America. Well, that one's obviously a lie. I know that it may not seem like it today. But this book is edited by Tom Brevoort, who has been protecting this character’s legacy for a very long time now. That's a lie. He was Executive Editor of Civil War. Considering that train wreck, I submit that the only legacy he wants to protect is his own. He’s not gonna let me do anything that he thinks is going to endanger that character’s legacy and how the character is perceived. A lie so big, it just broke psychic paper, and his nose should be a sequoia. It’s always difficult when you’re at this point in a story, because you don’t just wanna tell people, “Everything’s gonna work out great!” Because that certainly may not be the case here. 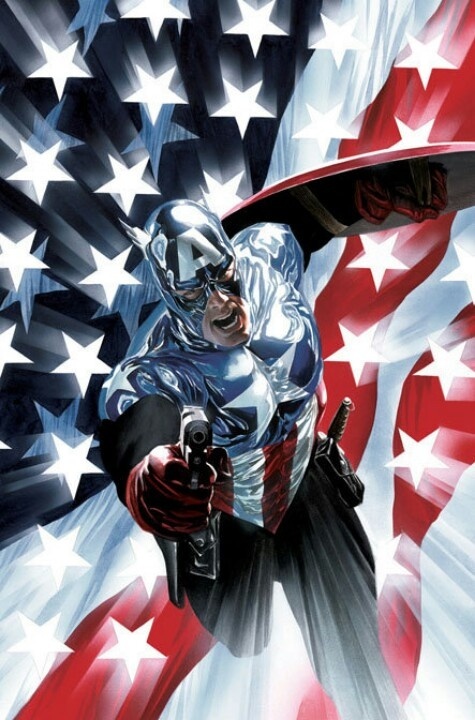 But what I think I can say with confidence is that with this story, our intention and our hope is that in its own unique way, it reinforces what everybody already knows about Captain America, which is his power as a symbol and what that means. We are approaching it from a different angle, but I think it illuminates the character in a way that we’ve never seen before. You just made the biggest American Patriot ever into a Hydra Nazi. You have just inverted everything that the character stands for. You have betrayed Kirby. You have betrayed the fans. You have betrayed Captain America. I half expect his fist to fly off the page and hit you in the face -- I'd say your balls, but he'd take too long to find them. It’s always tough. The eternal divide is the reader wants the character to succeed, to be happy, to win. Obviously, Captain America no longer exists, so we don't actually have that problem. Our job is often to put the characters through things and that can often be mistaken for a lack of respect or care for the character. That's not putting the character through something. You've made his entire history as we know it A LIE. Everything he's ever stood for is now a lie. That's not something that just happened to him. That's making his entire existence mean nothing, all so you can pull a stunt. Because that's all this is, a stunt. It’s just the reality of what draws people into these stories, whether you realize it or not, and this is going to be a major test for a lot of characters in the Marvel universe. This is going to be a test of your security systems if you keep this up. 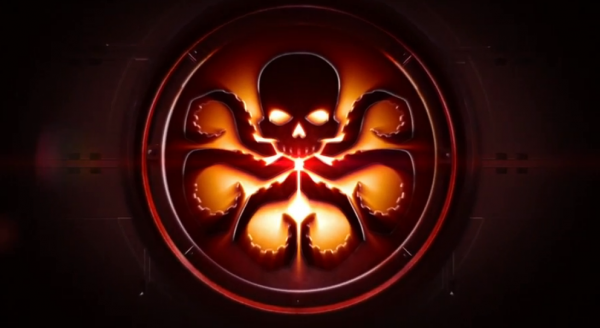 Q: The resurgent Hydra that Red Skull is pulling together seems to share a lot of parallels with Trump's “Make America Great Again” campaign. It’s xenophobia and anti-political correctness. What went into forming his recruitment platform?A: What I think I can say about this, is one of the later conceptions of the story was “what if the new Hydra is a blank?” We wanted to kind of get away from the green and yellow costumes and the doomsday machines and things like that and really reconnect with what the organization has at its sort of moral core. Yes. You read that right. He just said that Hydra, and the Red Skull, Nazi organizations and personnel from day one, had a moral core. Did someone not explain that Nazis don't have a moral core? That they make Max Weber look calm? Their entire philosophy of existence is power makes things right. If you don't grasp that concept, you're an idiot. Even the joker knows better. If you do grasp that concept, and think that is a moral core, then that just means that you might be a liberal, and you think that the Nazis were the good guys. As for being anti-PC, you should read Politically Correct Bedtime Stories. He's obviously a Nazi. We’ve obviously seen a lot of growth in white supremacist organizations and extreme nationalist groups in the U.S., certainly over the last eight years. Only if you're an idiot and follow the Southern Poverty Law Center, who classified Focus on the Family as a terrorist group. Or you, like Janet Napolitano, have classified the Tea party as a terrorist group. In short, anyone who disagrees with you politically are really Nazis. Thanks for that. And so I had to do the ugly research of what’s drawing folks into those groups. What’s driving recruitment? Nothing. Because it's not happening. Unless you mean ISIS. In which case, that's Barack Obama. Please, be more insincere, why don't you? I wanted us to kind of understand where this endless supply of bodies that Hydra always has comes from. And why someone would sign up for the gig. It became pretty clear that that wasn’t going to be a supervillain screaming at the top of his lungs about how he was gonna take over the world and everybody was gonna bow to him. Instead, they would need to see some potential self-interest gain from working in Hydra. It’s probably a pretty good paycheck because it’s a dangerous job. We've already covered that. His name is Bob, Agent of Hydra. Also, if you did five minutes of research, you'd realize that the Red Skull could recruit them all from the Middle East, after the Grand Mufti Hajj Amin al-Husseini became Eichmann's best friend. That's a few hundred million people right there. So again, when looking at various hate groups and what drew those people in, these are the kinds of things you see a lot. A lot of times they’re recruiting in areas that are economically depressed, they’re recruiting people who don't have a lot of education or opportunity, who could gain from employment and having future prospects. What? You mean that it's not Climate Change? I hear that causes all the problems now. Also, that must mean that the Red Skull recruits a lot in Detroit. We [in the U.S.] have a lot of people like that. It’s kind of a miracle that we don't have more of this stuff. So I wanted to bring the camera in close on one of them and give you an idea of who’s filling these rooms of people that SHIELD’s fighting against. I think it makes for a stronger dynamic. It presents SHIELD with some new problems that they’ve never really had to deal with before. I'm sorry, did you want to turn a comic book into All Quiet on the Western Front? Because that was crap, even for propaganda. Q: What should we be reading into Eric Selvig’s expression there at the end? Was he in cahoots with Cap? Are you stupid? Or merely brain dead? Does that man look happy to you? A: I know, he looks a little dark, doesn't he? He looks a little creepy. (Laughs.) That’s a good observation. Good thing to keep in your back pocket for future issues. Translation: "I didn't think of that. Thanks for the idea. I know who to ruin next." Q:Have you been watching the #GiveCaptainAmericaABoyfriend campaign unfold?A: Yeah. I think the only thing I can say there is it speaks to people’s passion for the character. Funny. I thought it spoke to the power of the gay lobby on Twitter. but people strongly identify with these characters, they’re strongly invested in these characters’ lives, and I think that this is a reflection of that energy. Then you made him a Nazi. Now, not even the gay crowd will want him. What can we expect from the story going forward? Your usual stupid cliches. Probably the power of love, while we're at it. I would tell everybody to take the solicits and stuff that are out there with a real grain of salt. Dude, we're expecting to wake up the next day and hope this was a nightmare. Also, we're hoping that you're found in a dark alley somewhere. (Laughs.) We had to embellish somewhat so that nobody would get suspicious. You made ... CAPTAIN AMERICA .... into ... a ... NAZI. You're embellishing "somewhat"? What I think I can say to folks that might help them visualize where the story is going is that this is not so much a story about what has come before as it is about what comes next. The story is not Steve’s past, it’s Steve’s future. You just made Steve Rogers a Hydra plant since before he was Captain America. That alone has just made everything incoherent. And you think that his past is irrelevant? How many times did your parents have to drop you on your head for you to be just this level of stupid? So we’ve established that Captain America is Hydra. Consider carefully just how stupid that sounds, Nicky. That is a huge moment in the Marvel universe, regardless of when it came to be or how it came to be. It came to be because you couldn't think of anything original. What that means in terms of the doors that are open to Steve, what he can do, and what he chooses to do with that power is what remains to be seen. Doors that are open? Really? If he's a Hydra agent, he could walk into the White House, shake hands with the President, then rip off his arm and beat him to death with it. But the thing that I can say is it’s a huge story I really can’t believe that they’re letting me do. That's the first honest thing I've heard you say. I can't believe they're letting you do it either. This is something that is gonna have a profound effect on the Marvel universe. Yes. Like tanking books sales. I’ve seen a lot of people say things like, “Oh, it’ll be wrapped up in the arc,” or “Give it six months.” And I can tell you, that’s not the case. This has real lasting repercussions that are gonna be with us for a while. You mean until the latest Marvel event that shakes things up? You sure that's not going to bigfoot your stupidity in the next give minutes? Or did you mean until sales tank so badly, you're thrown out into the street? Did you even consider the impact that having Chris Evans hating the idea? And did anyone consider that this would be an especially bad idea with the Civil War film coming out the same month? Though I noticed they made sure to release this comic AFTER Civil War released. I think I've made my point here. This is a stupid, unoriginal, shock-jock stunt that's geared to general sales, and I suspect it's going to have the opposite effect. And I suspect that it will end with Nick Spenser out in the street begging for change. As I said at the start, Captain America is dead. A victim of political propaganda. But, like with all our real life heroes, he will live once more, and given new life. Only in his case, as he is fictional, it will happen sooner for him than for the rest. Matt Murdock could see the whole time. Frank Castle killed his own family. Peter Parker killed uncle Ben. Charles Xavier is actually Magneto. Doctor Doom doesn't exist. He is a figment of Reed Richards' imagination. The Hulk doesn't actually lose control, Bruce Banner just thought it would be funny to make people think he does. Whew, that was hard. Can I be a Marvel writer now? The internet is already on it. I thought about writing this post myself several times over the weekend. Now I'm pretty sure I couldn't do it justice the way you did. Epic! There was a show on (History channel?) some years ago talking about the history of the comics industry. One thing that showed up (might even have been commented on in passing) is that these all come out of New York City or environs. The writers, the editors, the managers, the marketing. It is a New York City ethos that drives and permeates the stories. That explained so very much when I went back and re-read some of my 1980-early '90 books before dumping them in the charity bin. The derision and contempt for certain ideas, the wide eyed adoration for others, the shifting and twisting of established characters and relationships to suit an agenda or to be temporarily 'topical'. It explains the recent Thor stupidity. And it explains this abomination. New York City is one of the most provincial places in the world, parading as cosmopolitan while being culturally inbred and insular. They probably really don't understand the anger their actions bring out in the 'great unwashed' they consider to be laughable barbarians and boors, though some clearly revel in it. They don't understand the love for the character any more than they could understand the love for country that lay behind so much of Cap's fandom, even when they previously twisted it to suit their mindset, because its not something they feel. So long Cap. You've been poisoned and perverted by people who just do not care about you, about your origins, your creators, the efforts, hopes, and dreams invested in making you what you were, and were once again becoming in the movie universe. They care only for themselves and their ideas, and their desire to circle-jerk their own sense of importance and being 'better' than those who simply can't understand their obvious superiority. Shaking people up is only good if they keep buying the comic. A spectacle short series that turns out to be an alternate dimension is good only if people want to have a copy of that series saved away in plastic bags with acid neutralizing cardboard in them. But if people *don't* want to own their very own copy of The Issue that Reveals Steve Rodgers as Hydra... you're toast. It's only good if people get mad AND buy the issue. If they get mad and don't buy the issue... you're toast.